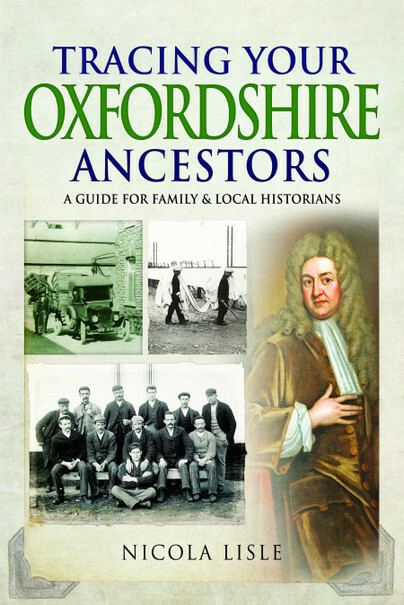 You'll be £14.99 closer to your next £10.00 credit when you purchase Tracing Your Oxfordshire Ancestors. What's this? Order within the next 8 hours, 23 minutes to get your order processed the next working day! Overall, this is a practical and useful introduction for anyone researching this historic county. Experienced family historians know that while you can get a long way with the resources offered by the top websites there's more to be discovered on smaller sites, and many times more items held offline. You only find out about those by consulting a local specialist, and that's what's offered by Pen and Sword's Tracing Your [name] Ancestors series. Name can be a place, an event, an occupation or other cohort. Nicola Lisle is a freelance journalist and author specialising in local history, family history and the arts. She has lived in Oxfordshire for thirty years and has written numerous articles on various aspects of the county’s history for local and national publications. She has also contributed to several family history magazines including Who Do You Think You Are?, Your Family History and Discover Your Ancestors, and is the author of Tracing Your Family History Made Easy, published by Which? Books in 2011.